Cinema lovers in Kerala will be spoilt for choice today, 12 August, as eight films are slated to hit the screens including those featuring two superstars of Bollywood, Akshay Kumar and Hrithik Roshan. Interestingly, two of Malayalam actor Jayasurya's films are also hitting the screens tomorrow. Eight films are slated to release today, 12 August are: Akshay Kumar starrer Rustom, Hrithik Roshan starrer Mohenjo Daro, Jayasurya starrers Pretham and Inspector Dawood Ibrahim, VK Prakash - Biju Menon's Marubhoomiyile Aana and Tamil films Joker, Wagah and Mudinja Ivana Pudi. 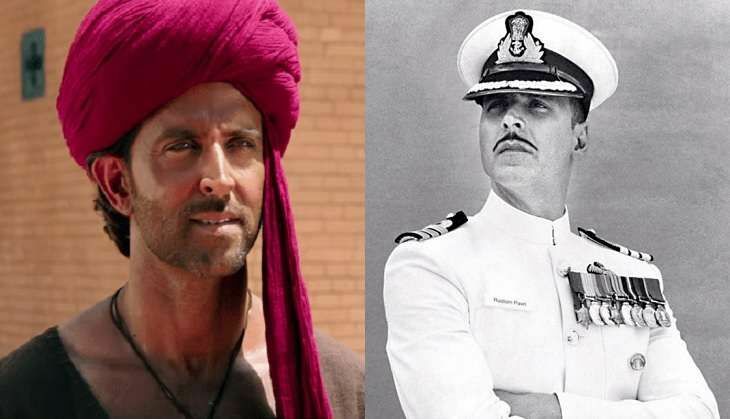 As per early reports, both Rustom and Mohenjo Daro are giving tough competitions to all the Malayalam releases as far as multiplexes screen count is concerned. At Cochin multiplexes, Rustom is leading the screen count with 28 shows followed by Mohenjo Daro with 25 shows. Malayalam films Pretham, Marubhoomiyile Aana and IDI are releasing on 24, 15 and 12 screens respectively.